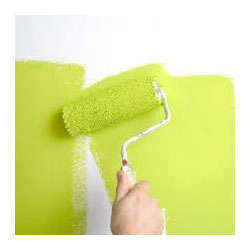 Being quality oriented organization; we are offering Exterior Emulsion Paint to them. Our experts offer excellent quality of the exterior emulsion paints to the clients. They know the exact requirements of the clients and the paints on offer reflect the quality as promised by them. Our experts offer suggestions on how to use these paints in the best manner possible and also clarify all the doubts of the clients related to the usage of these paints. SM Engineering is a sole proprietorship firm, came into existence in 2009. The company since establishment is involved in trading and offering reliable services of a comprehensive range of Decorative Paints, Glass Partition, Commercial Interior Design, Turnkey Project Service, Corporate Interior Design and many more. The products we offer is sourced from the reputed vendors, whom we have selected after conducting rigorous surveys of the market and on the basis of their domain expertise, financial status, market credibility, prompt delivery schedules and many others. In addition to this, to offer the above mentioned services, we have hired specialized expertise to make sure to provide reliable solutions to the clients. Various easy payment options are provided by us to the clients, in order to make hassle free and easy transaction of money.